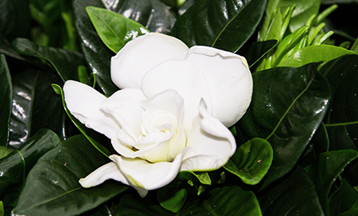 The Gardenia is part of the Rubiaceae family. It's a compact plant with dark green shiny leaves and white rose-like flowers, which smells delicious. At Richplant all the plants are totally grown by themselves from seed or cutting. 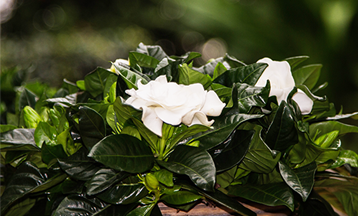 The Gardenia is the favorite plant of diverse famous people, like Madonna and Lady Gaga. All the plants at Richplant are grown under the most strict environmental requirements. We are MPS-GAP certificated because of that. Also Queen Maxima is a lover of the Gardenia. Her bridal bouquet was full of beautiful, delicious scenting Gardenia flowers. A special range of plants are sold under the name "Rich Sense"? Welcome to our website. We are a company with a passion for exclusive blooming houseplants. Together with a team of experienced and enthousiastic employees, we want to deliver a high-quality range of blooming plants, so that the consumer can enjoy our special plants. Richplant is 50.000 m2 and is located on the Grote Achterweg in Naaldwijk. 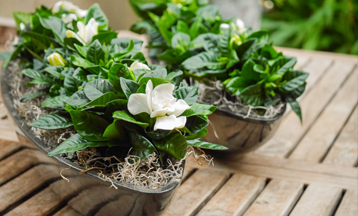 Richplant grows a diverse range of exclusive blooming houseplants, for example the delicious scented Gardenia Jasminiodes, the exuberant blooming Crossandra Fortuna, the mystical Clerodendrum Prospero, the delicate Jatropha Podagrica and Multifida and the dynamic Ixora Kontiki. With our special range, we can provide a valuable widening to the range of the retailer. Our company is provided with modern techniques and installations, that makes us capable to produce top products of a uniform quality. All of our products are taken care of with the greatest care from cuttings until plant. We greatly appreciate the environment, surroundings and good working conditions within the company. We are proud to say that we have received various certifications in this regard.